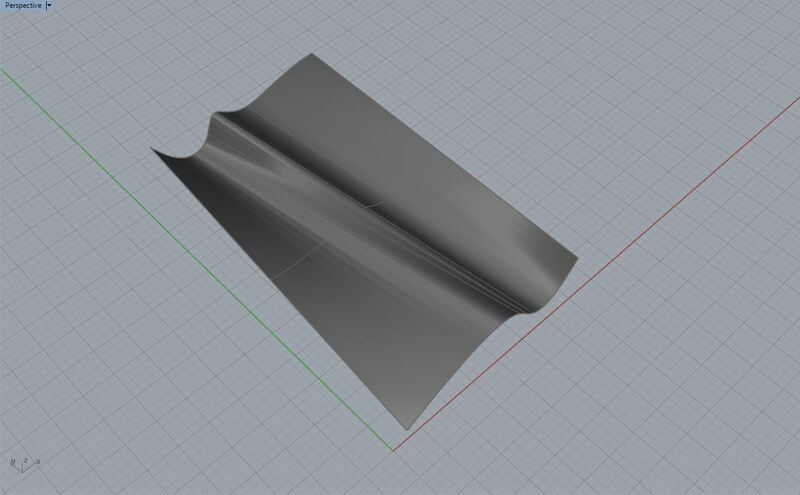 Rhinoceros defines Surfaces with Curve Geometry moving in the ‘U’ and ‘V’ Direction, called ‘Iso-Curves’. These Iso-Curves can be duplicated, edited, & adjusted so long as the User knows how to extract them. 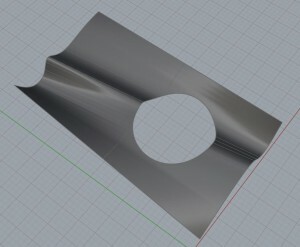 After editing Iso-Curves, a User can re-create the original Surface with the new, defining Iso-Curve Geometry. To begin, there are several ways we can create Curve Geometry (without plug-ins). We will discuss some of the more common, and fundamental methods in Rhino. Regardless of the method, it is important to understand: the more curves you have to define a surface, the more control you have over the way it looks. Alternately, less curve geometry will still define a surface, but leave some of the work to the programming side of Rhino. 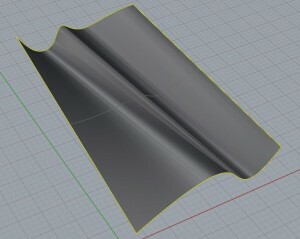 Turn the ‘SURF’ Layer ON, and expand your PERSPECTIVE Viewport. You should have a gray surface, with no curves on this Layer. 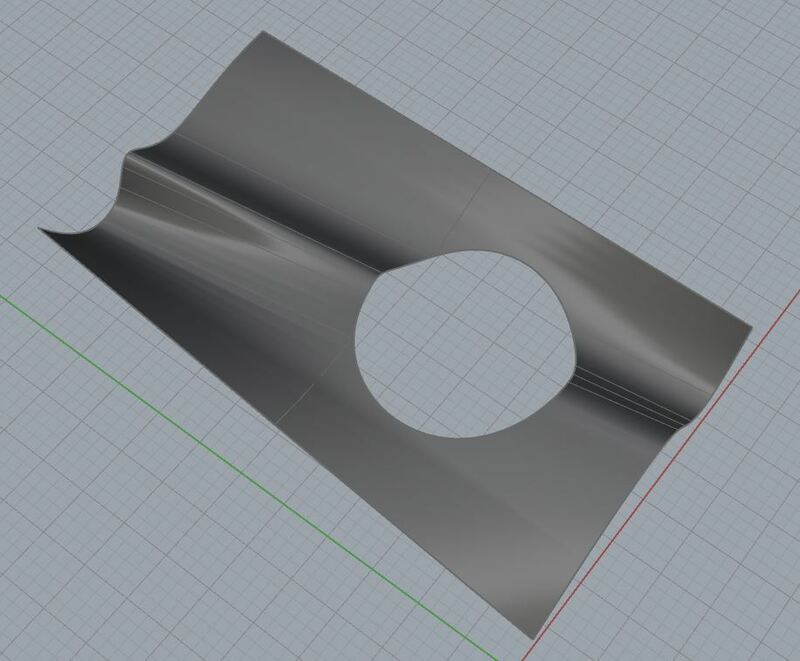 We will start by discussing methods that utilize Commands from the ‘Curve’ > ‘Curve from Objects’ Drop-Down Menu in Rhino. If we want to Extract Curves from the borders, or edges of Surfaces, there are multiple commands. Let’s start with something simple: Type DUPEDGE into the Command Prompt and press ENTER. The Command Prompt will ask you to ‘Select edges to duplicate’; select all (4) Edges of the gray surface (Edges will highlight in Yellow). Press ENTER when finished. The (4) Curves remain highlighted as selected geometry, and you’ve duplicated each edge of your surface. They are single curves, and they are NOT joined together. 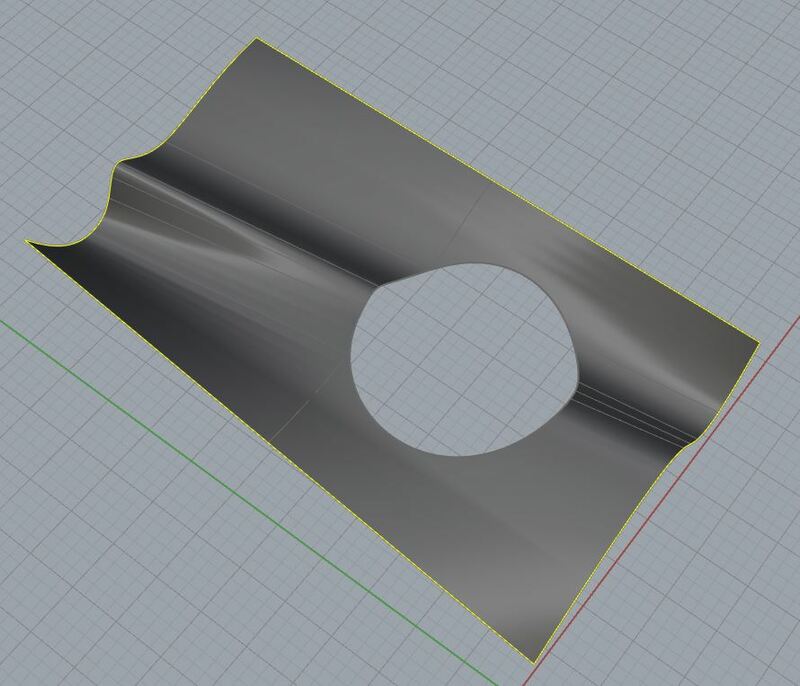 Sometimes, you will need to JOIN this Geometry; I recommend typing JOIN, immediately after you’ve exited the DUPEDGE Command- this way, you won’t have to re-select each curve. The DUPEDGE Command is primarily for duplicating single edges.